If you are wondering what the best time to visit France would be, the answer is usually any time, since this country exudes beauty regardless of the season. And as one of the most romantic and magical countries in the world, there is very little doubt that you’ll have a great time here, in spite of the weather. France is found in Western Europe, next to countries like Belgium, Luxembourg, Switzerland, Germany, Italy and Spain. France spans 674,843 square kilometres and is composed of rolling hills, sweeping plains, and urbanized city centers. It lies north of the Mediterranean sea and east of the Atlantic coastline, with the English Channel to the north, ensuring people that are supplied with all kinds of attractions during their stay. Given this, it comes as no surprise why France attracts as many as 82 million people per year and continues to be one of the most celebrated tourist destinations in the world. But to ensure that you spend your time well, here are some suggestions you should take into consideration. While Paris is an unforgettable destination, don’t miss Bordeaux and take advantage of the wine capital of the nation. Here, you’ll get to relax and enjoy the countryside and then indulge in one of France’s best export. There’ll be no talks about politics or religion, just culture, arts and music. And to some degree, you’ll be able to experience English hospitality instead of the standoffish French demeanour. 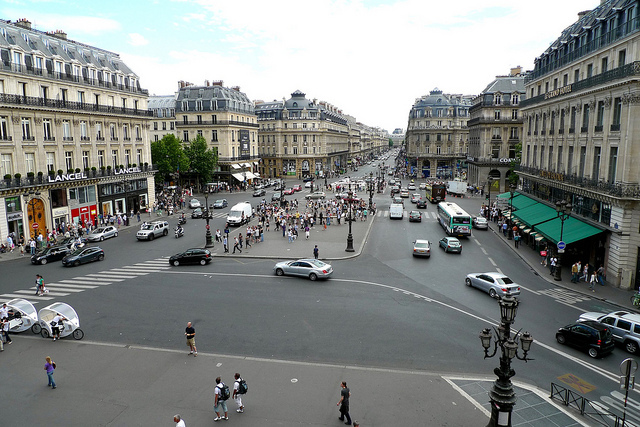 Now, apart from the vineyards, you’ll also get to see other amazing highlights like Les Quais, La Victoire, the Pedestrian Center, and Gambetta Square. If you want to see where the biggest libraries in France are located, you might also want to check out Meriadeck. As an alternative, you might also want to check out Bourges and the UNESCO World Heritage Site it harbors – the cathedral of St. Etienne, which is said to have been constructed back in the 1200’s. The best time to visit France for these places would be during spring and summer, so you could avoid the cold weather. But you have to see to it that your trip does not coincide with local holidays because that may mean hotels are fully booked. The French Riviera is another highlight you should not miss when you are in the country as it offers a refreshing retreat for those who enjoy water-based activities. Located on the coast of the Mediterranean, this destination not only features all the facilities you need for a satisfying beachside vacation, it also complements it with all the glitz and glamour you would expect out of the mother country. Who knows, you might even come across some celebrities during your romp. There is some great accommodation options on the Mediterranean coast, and don’t forget to check out some handpicked villa holidays for a truly unique experience. Now, if you do not want to get caught in the crowds, the best time to visit France for this would be outside of July and August since the summer months usually attract loads of people to the Riviera’s shores. But if you only have that time off, you could always opt for lesser known attraction like the Gorges du Loup and Gourdon.